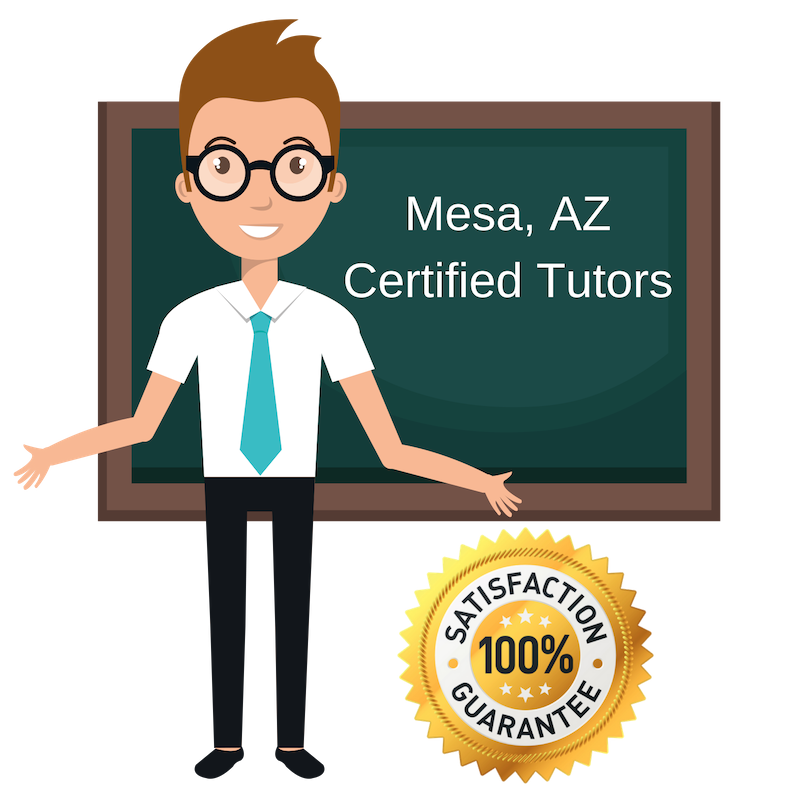 Top Rated Private Tutors in Mesa, AZ! By partnering with Varsity Tutors, the leading tutoring agency in the country, we have access to the best tutors in Mesa, AZ. I received a Master’s in English Literature from California State University, where I also received my Bachelor’s in English Education. While at school, I began tutoring and really enjoyed it. Seeing students achieve academic goals and excel in their courses was really inspiring to me and something I wanted to continue doing. I definitely have a passion for English and Literature, but I also really love math and enjoy working with students on math and improving their math skills. This is why I tutor math to students in Mesa. I want to get students excited about it and lessen their stress in math. I try and relate it to real-life problems to help them see the relevancy and application of math. I have been a college-level chemistry instructor since 2003. I have a strong science background, specializing in chemistry. I tutor students in science in Mesa. I want to share my deep love and understanding of science with students across the area. Science can be challenging, but it can also be exciting and intriguing and sometimes you just need the right instructor! I’m a current senior at Yale University, where I am studying biology and English. I enjoy tutoring students outside of my studies and helping them achieve their academic goals. College is something that has been a very exciting and rewarding experience for me and I want to help other students get to enjoy a collegiate experience as well. This led me to become an ACT tutor. I took this test not too long ago and did really well and want to help you do the same! I have many tips, tricks and insights to share. I tutor because I care and I want you to succeed! I love writing, reading, and cooking–nothing better than reading in the shade, eating homemade spaghetti! I want to help students successfully take the SAT and be more comfortable and confident taking standardized tests. My goal is to familiarize them with the structure, while making the content engaging and relevant. I also want to help eliminate the stress this test brings and instill a sense of confidence in each of them. This is why I tutor students on the SAT in Mesa. I have two degrees: a Bachelor’s in Geological Sciences from Ohio University and a degree in Computer Sciences from American Sentinel University. I hope I get the chance to work with you student and help them on their journey. I personalize and differentiate my tutoring approach to match each student’s needs and hopefully motivate them to improve their abilities. I tutor English to students in Mesa. I have worked with students of all ages. I have many teaching strategies and techniques I bring to working with students. My students’ success is important to me and I do everything I can to help them achieve their goals. Reading, biking, hiking, live music, and baseball! Student-Tutor's partnership with Varsity Tutors makes it easy to find local world class certified tutors no matter where you live. Here are some other tutors in Mesa. Let's Spark Bright Futures!